Earn 2 Loyalty Points with this product. ? 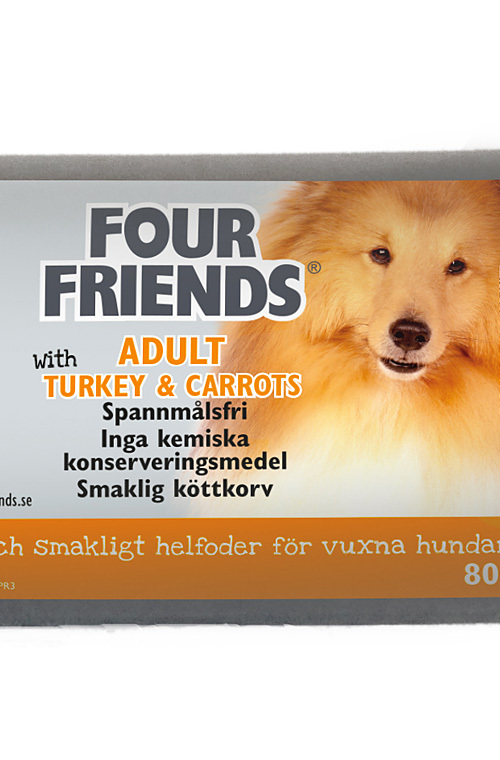 FourFriends Moist Turkey & Carrot is grain and gluten free. 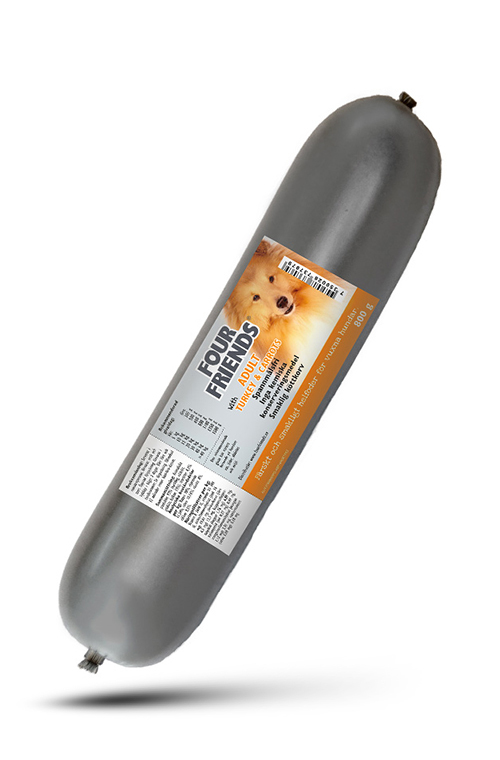 This moist food is of the highest quality containing turkey meat & carrots. Unopened can be stored at room temperature. Once opened can be stored for 3 to 4 days in the fridge. Contains no chemical preservatives. It can be used as a complete or as a topping to dry food. The packaging is biodegradable. With 93% Meat (of which chicken, beef, pork, turkey 15%), carrots 4.1%. FourFriends is ready for use and must be served at room temperature. Store in a cool and dry place. Once open, keep in the fridge. Buy 12 sausages of the same flavour or a bundle of mixed flavours.